Dig the hairstyles, too. 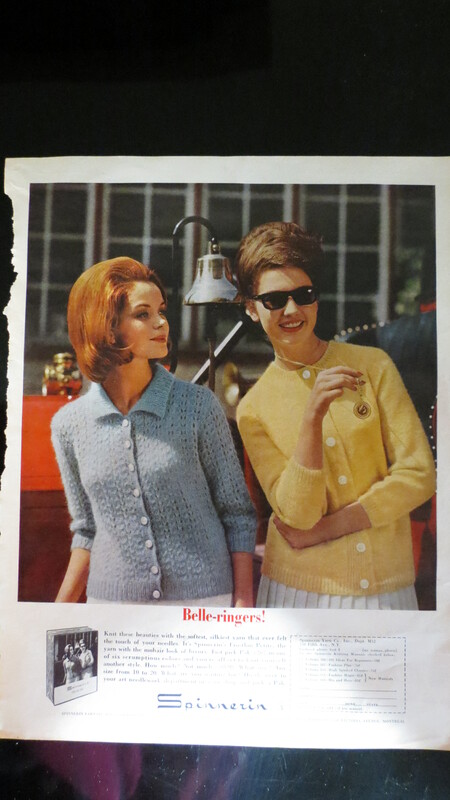 Now that Christmas and New Year’s celebrations were over, women in 1961 turned their attention to Spring and travel styles, as well as Prom & Easter. With the crazy weather, we’re also thinking of flowers and sunny colors. 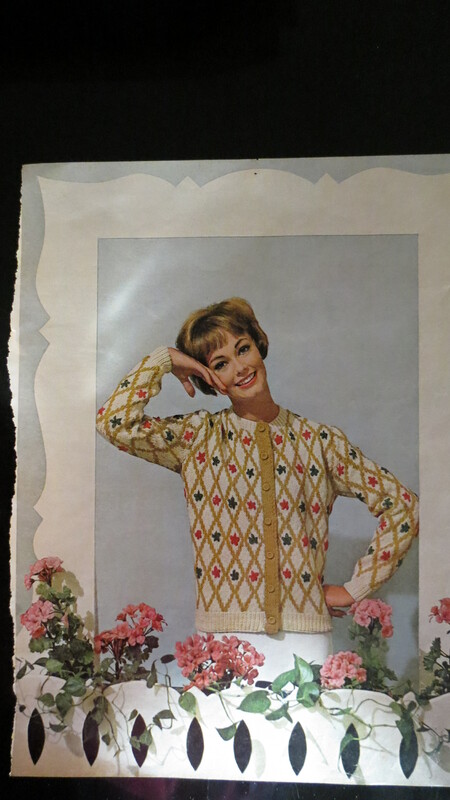 Although our grandmothers and great-grandmothers thought about new needlework projects in their spare time, it’s still FASHION, and we continue to think about it now, but in different ways (what’s on my favorite Internet site?). 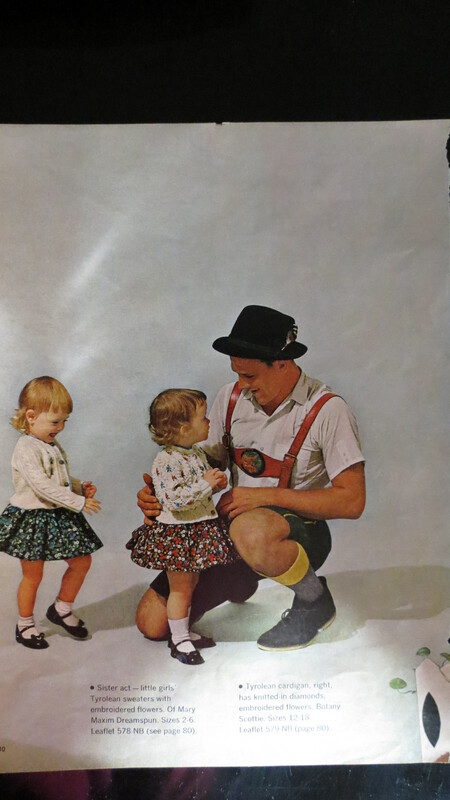 in 1961, the subscribers to McCall’s Needlework and Crafts magazine looked forward to these styles. 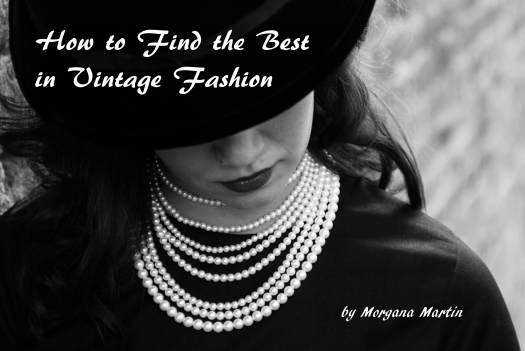 Posted on January 14, 2017 by Morgana Martin, the magicvintagespy. 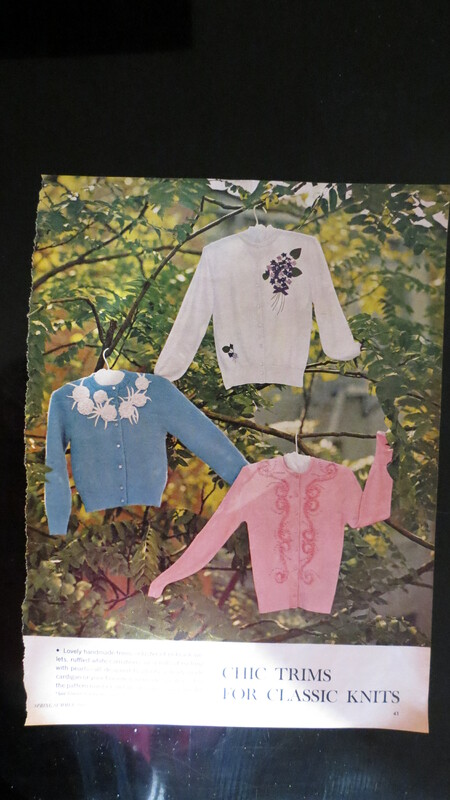 This entry was posted in blogger, buy, buying, cardigan, casual, classic, classic clothing, clothing, custom-made, early 1960's, Easter, elegance, elegant, fashion, find, guidebook, hand-made, hand-tailored, handmade, homemade, how to, Kennedy era, knit, knitted, knitting, knitwear, ladies, Mad Men, magicvintagespy, McCall's, McCall's magazine, mid-century, needle-work, needlework, pattern, photos, references, retro, separates, shopping, sportswear, store, stores, sweater, true vintage, Uncategorized, vintage, vintage blogger, vintage clothing, vintage expert, women's and tagged '60's, 1960's, 1960s, ´60´s, blogger, buy, buying, cardigan, casual, classic, classic clothing, clothing, custom-made, custom-tailored, early 1960's, Easter, elegance, elegant, fashion, find, guidebook, hand-made, hand-tailored, handmade, homemade, how to, Kennedy era, knit, knitted, knitting, knitwear, ladies, ladies', Mad Men, magazine, magicvintagespy, Magicvintagespy.com, McCall's, McCall's magazine, mid-century, needle-work, needlework, pattern, photos, references, retro, separates, shopping, shopping tips, shopping-tips, sixties, Sixties, sportswear, store, stores, sweater, true vintage, Uncategorized, vintage, vintage blogger, vintage clothing, vintage expert, women's. Bookmark the permalink.